RALI project consists of an airborne platform combining a 95 GHz Doppler cloud radar named RASTA and a triple-wavelength dual-polarization lidar (High spectral resolution capability) named LNG for the characterisation of the macrophysical, microphysical, radiative, and dynamical properties of clouds, aerosols, and convection. Visit the data section for more information about the available data. 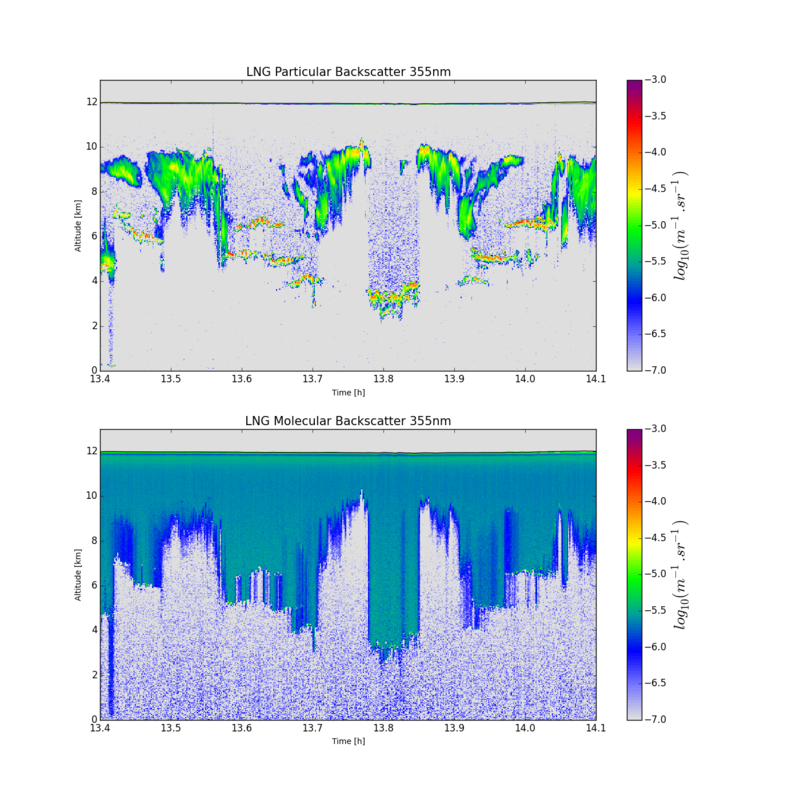 These two types of instruments, the millimetre-wave radar and the backscatter lidar are the most relevant instruments to address aerosols/clouds studies. The cloud radar detects most of the clouds in the troposphere, however it is very difficult for the radar to observe very thin cirrus. The cloud radar also has the potential to document convectivestorms, except the most intense storms which produce total extinction of the radar signal. 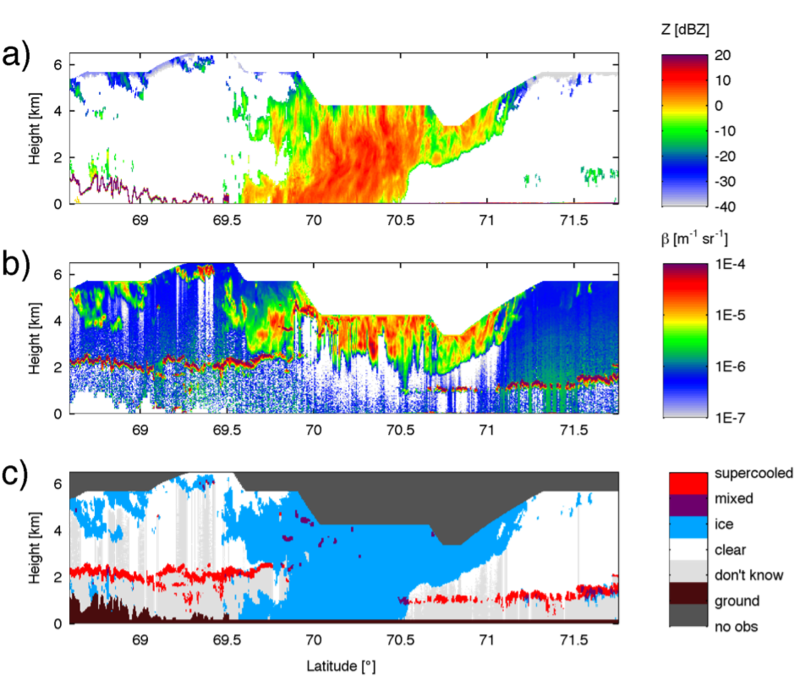 On the other hand, the lidar can document both clouds and aerosols. Unfortunately, it cannot detect clouds of optical depth larger than 3-4 though, but it is very well suited to document the very thin ice clouds missed by the cloud radar in airborne and spaceborne configurations. 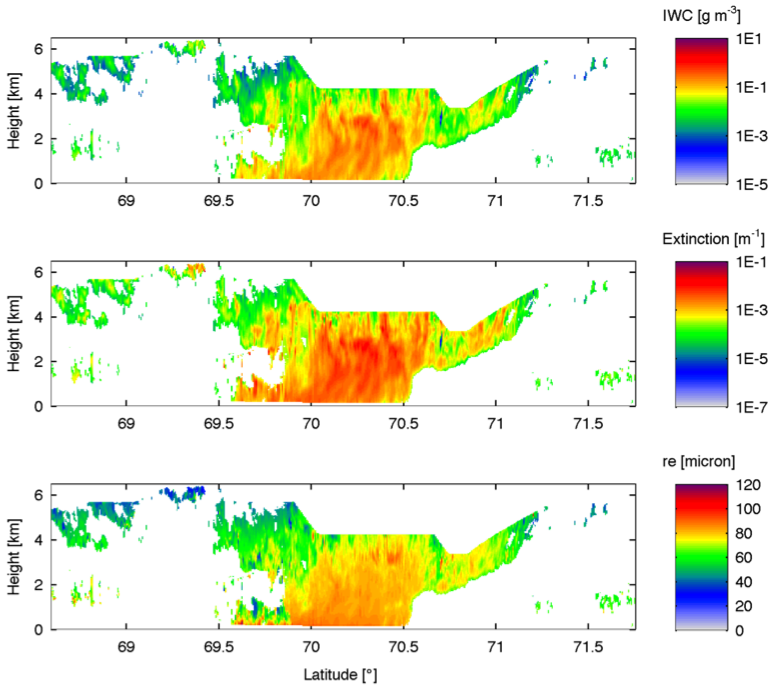 The cloud-radar lidar combination is therefore really unique in the sense that it can characterise the vertical distribution of the properties of many clouds (with the cloud radar alone, the lidar alone, or the combination of both) and also document the aerosol properties (in the absence of clouds). In December 2015, RALI flew with its up to date configuration. The RALI project started in 1993, coordinated by J. Testud from CETP, J. Pelon from SA, and P. Flamant from LMD. In the early 2000, Alain Protat pursued the work which led to first RALI measurements. In 2010, Julien Delanoë took over the Pi-ship of the RALI project. The year 2006 was clearly the «radar-lidar year» for our scientific community, with the launch of the first radar-lidar combination in space, consisting of the first 95 GHz radar in space, CloudSat ( Stephens et al. 2002 ), and the CALIPSO dual-wavelength backscatter lidar ( Winker et al, 2003 ), in the frame of the constellation of six satellites in formation for the monitoring of clouds, aerosols, and precipitation known as the «A-Train» (a NASA/CNES mission).RALI is therefore perfectly designed for validating A-Train measurements and cloud/aerosol products. In addition to that, RALI is great validation tool and can be used as a demonstrator and help to prepare future missions such as EarthCare scheduled for 2018 (Illingworth et al. 2015). RALI is currently the only airborne platform combining a HRS lidar at 355 nm and a 95 GHz Doppler cloud radar.